It is better the more you see it. 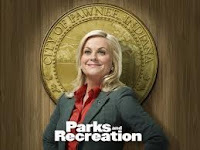 For my money, it one of the best comedies on TV now that 30 Rock has jumped the shark. For the record, I remember and enjoyed this episode, but have no recollection of it being set at Christmas.